Posted on 10, August 2016 by EuropaWire PR Editors | This entry was posted in Management, Sports, Switzerland and tagged Olympic Games Tokyo 2020, Patrick Baumann, SportAccord. Bookmark the permalink. LAUSANNE, Switzerland, 10-Aug-2016 — /EuropaWire/ — During the 129th IOC Session in Rio de Janeiro on Wednesday, 3 August 2016, a successful vote was taken to add the following SportAccord Member sports to the Olympic Games Tokyo 2020 sports programme – Baseball/Softball, Karate, Skateboard, Sports Climbing and Surfing. The decision came as a result of the Tokyo 2020 Games Organising Committee proposal to add five sports in support of the Olympic Agenda 2020’s call for flexibility in the staging of competitions. 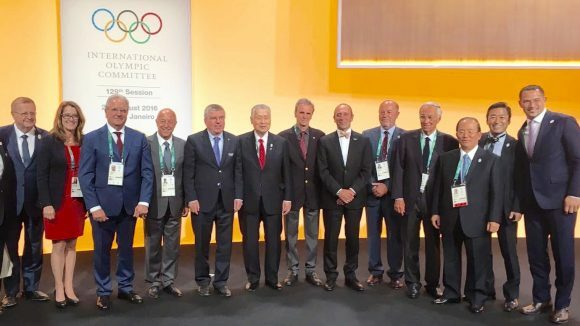 In addition, Members of the newly appointed SportAccord Council were also in attendance of the 129th IOC Session and appreciated the opportunity to congratulate the sports after the successful vote was announced.